Every so often, serendipitous encounters come along that challenge my thinking about plants and gardens. 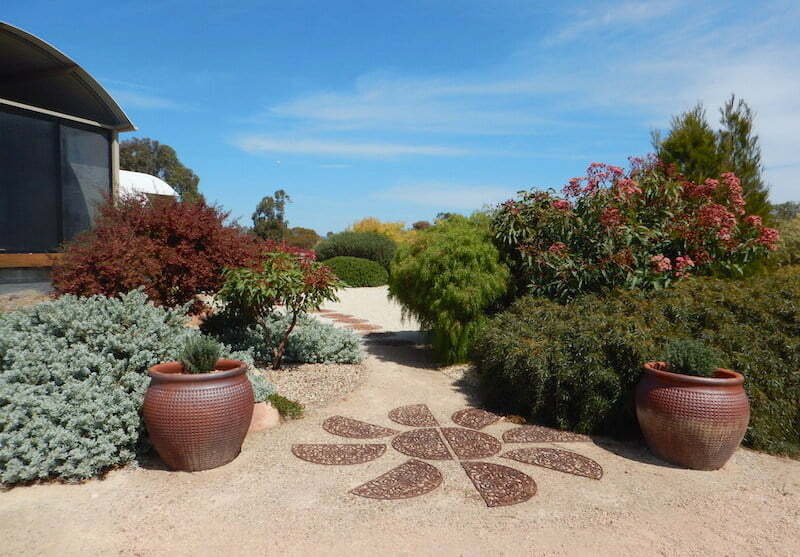 I recently had such an experience on a horticultural trip to The Grampians in Victoria. I was on assignment at the Pomonal Wildflower Show, an annual event that brings local plant enthusiasts from the area together to display the best native plant specimens from their gardens. All sorts of amazing people turn up to exchange wisdom about what, how and why they grow the native plants they do. 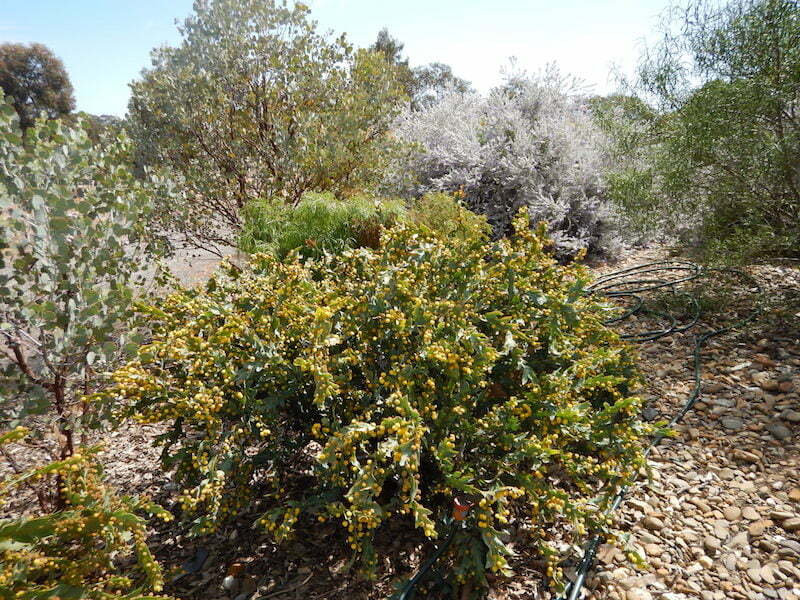 The climate and soils of this region of western Victoria create a rich opportunity to grow plants from both eastern and western Australia together in a way that mostly eludes gardeners in other parts of the continent. The Grampians mountain range rises like a camel above the parched mallee country that surrounds it and the rugged topography creates an intriguing range of environments for gardeners who would like to explore the possibilities of some of the more difficult to grow native plants such as feather flowers and ornamental flowering eucalypts. 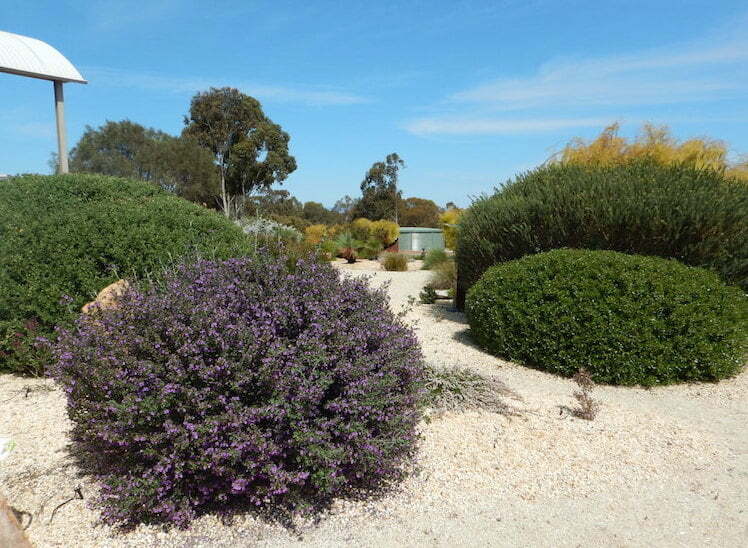 Amongst the eclectic range of gardeners I met at the 2015 Pomonal Wildflower Show was a couple from nearby Stawell, Greg and Glenda Lewin, who invited me to look at their garden based on Australian plants. 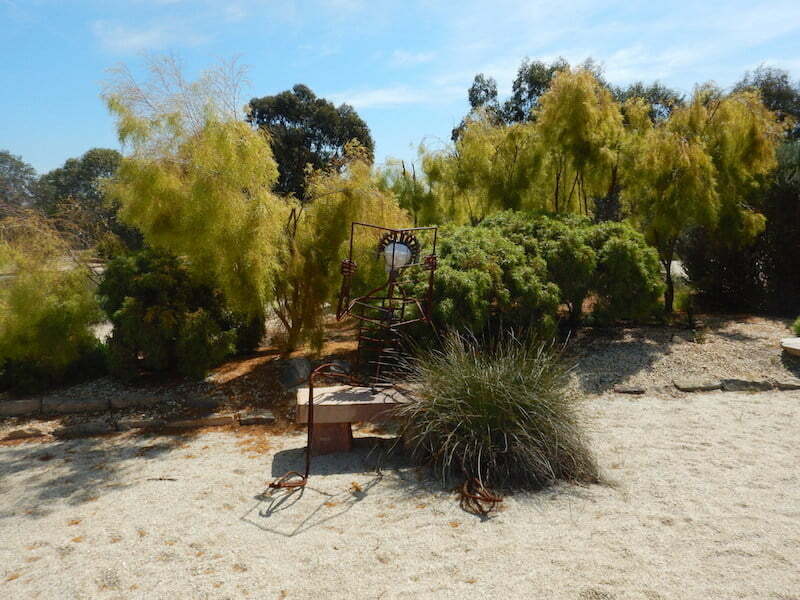 They have created an unusual and distinctly Australian landscape at their rural property ‘Grannes’ outside Stawell near The Grampians where the uniquely designed buildings have a strong Australian architectural flavour that has been used as a backdrop for the garden. The extensive landscape was originally designed by a horticulturally talented friend by the name of Barbara Reading. Since then, Barbara’s work has been ably maintained and extended by a young horticulturist. The overwhelming atmosphere in the garden is that this is a seasonally dry, and rather inhospitable environment to create any sort of garden. The summers are usually very dry, very hot and very long, whilst winter can be very harsh and frosts down to -5º Celsius are possible. This is a place where plant selection is absolutely critical to creating a sustainable landscape and the Lewins, to their credit, have been prepared to experiment in this regard. They have also given creative license to their garden designers to use the plants in interesting ways. 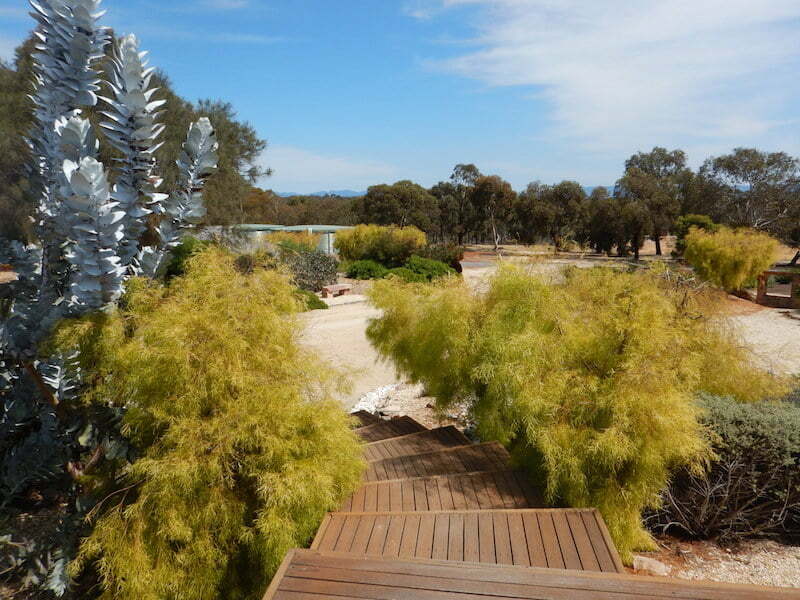 The river wattle, Acacia cognata, has become a popular foliage plant in many parts of southern Australia, and the various cultivars of this species have been used extensively to create something of a signature plant for Grannes. 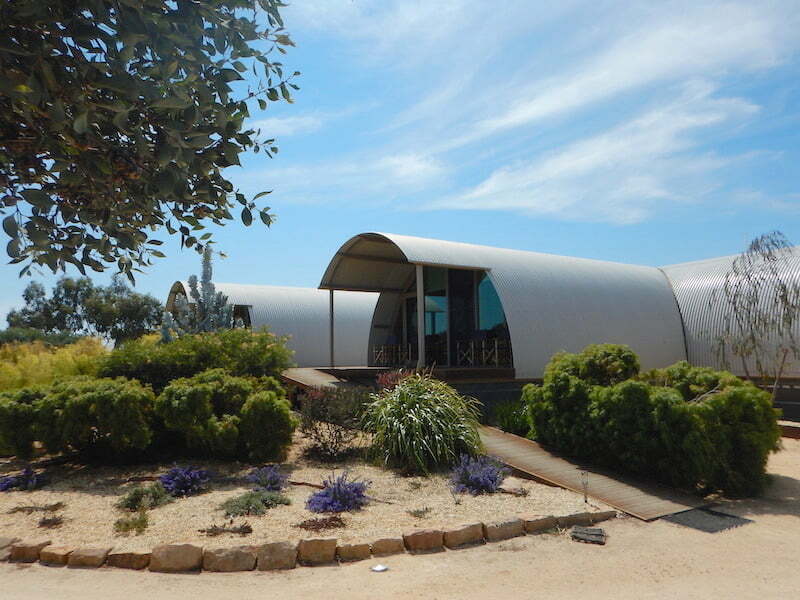 The flowing foliage and form of the various cultivars such as ‘Limelight’ and ‘Lime Magik’ make the perfect foil for the rounded, corrugated buildings and reflect the rather rounded mountains of The Grampians in the borrowed landscape beyond. 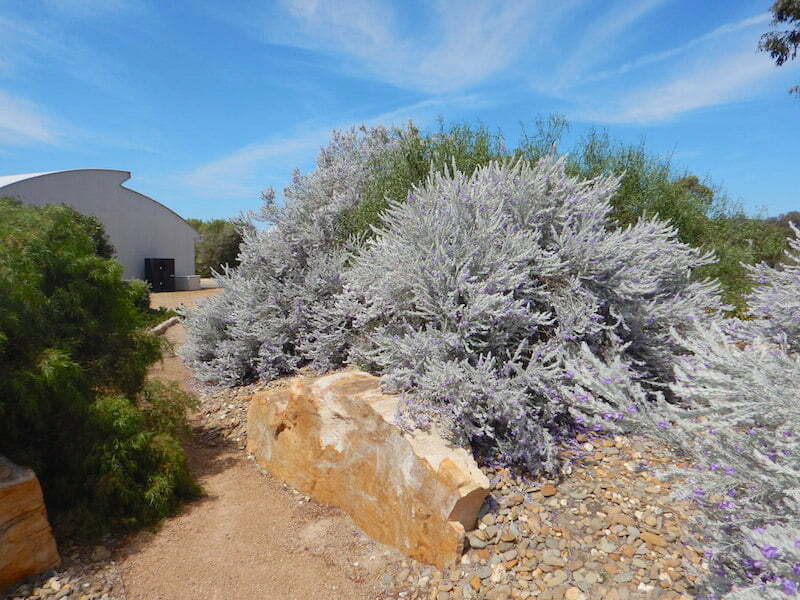 Emu bushes (Eremophila species) are another recurring theme through the garden, with the silvery foliage of Eremophila nivea and Eremophila glabra being perfectly suited to the semi-arid climate. Grass-like narrow-leafed lomandras provide mass displays of tussocky foliage forms that also work well in this sort of environment. 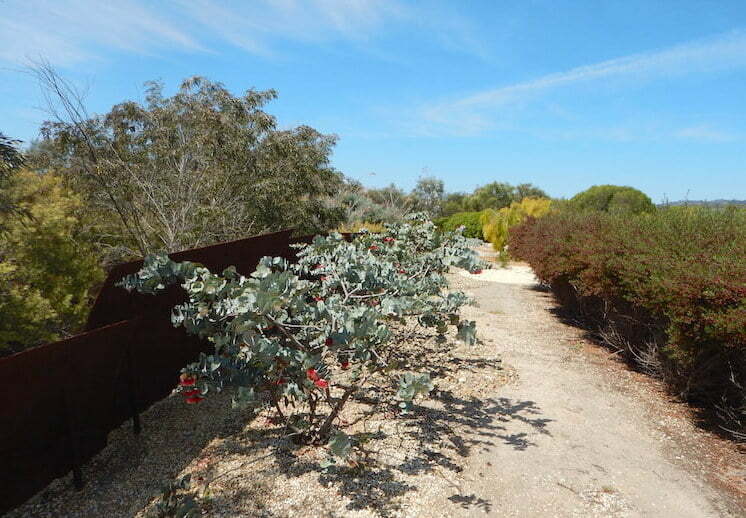 The rolling foliage forms throughout the garden are highlighted by carefully chosen flowering plants that provide focal points that draw the eye, such as red flowering gums (Corymbia cultivars), rose mallee (Eucalyptus rhodantha), mottlecah (Eucalyptus macrocarpa), flat or clay wattle (Acacia glaucoptera) and white plume grevillea (Grevillea leucopteris). Rustic metal sculptures are also carefully placed throughout the garden to reflect a sense of the farming culture in the area, as the European settlers who survived the harsh climate were those that could get by with only a piece of fencing wire to fix many of their practical problems. Welders and wire cutters have become the current tools of local artisans who are celebrated here. 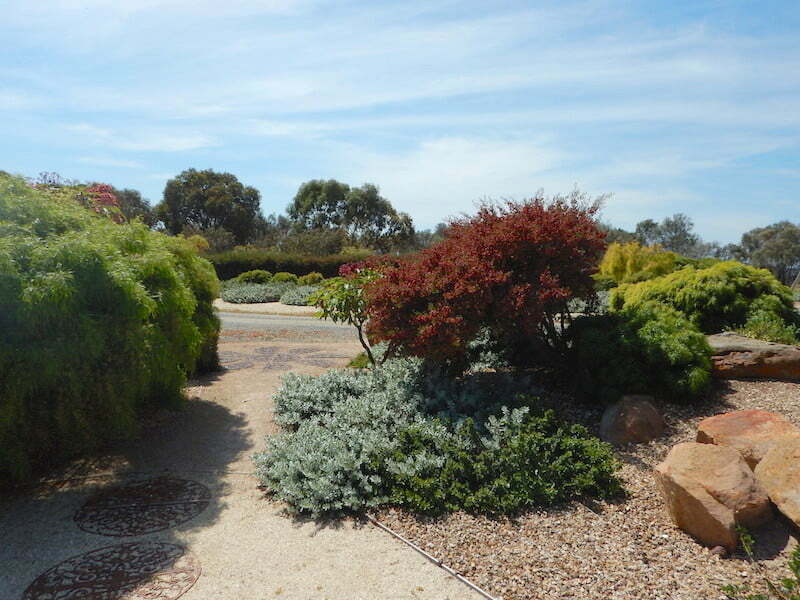 From a practical point of view the garden is predominantly mulched with gravel which better suits the semi-arid environment perhaps, but also demonstrably lowers the risk to property from bushfires. It also mimics the environment of some of the spectacular Western Australian species, something I have also found works well in wetter and more humid climates closer to the coast in eastern Australia. Another feature in parts of the garden is raised mounds to enhance the drainage in parts of the garden where clay soils can create drainage issues, on the rare occasions when the region experiences extended wet periods. The artistic side of the garden such as the sculpture installations is another core element of Glenda and Greg’s philosophy. 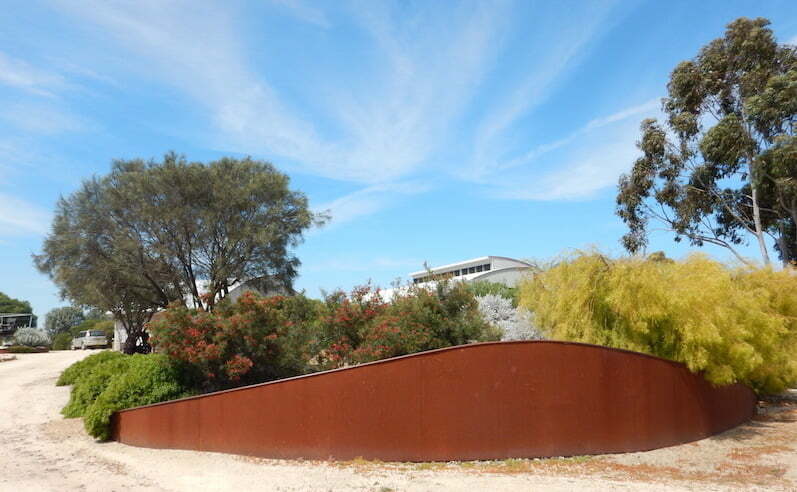 Both are heavily involved in the push from the region to create the Wildlife Art Museum of Australia (WAMA) on an impressive site that has been purchased in the foothills of The Grampians at Halls Gap. Grannes will be open on Sunday, 8 November 2015 to raise funds for the WAMA project. To learn more, go to the WAMA website. 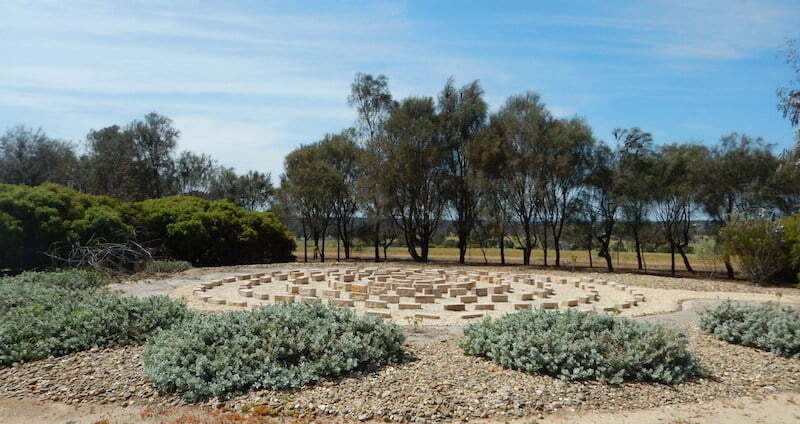 This is a garden that will provide inspiration to the many gardeners that live in inland Australia who despair at the lack of relevant gardening content provided by city-centric media outlets. As one of those many Australians who have grown up and gardened mainly in the frost free mild coastal climate of the East coast I take my hat off to the resourceful, adaptable souls who can create such a beautiful landscape in such challenging conditions. 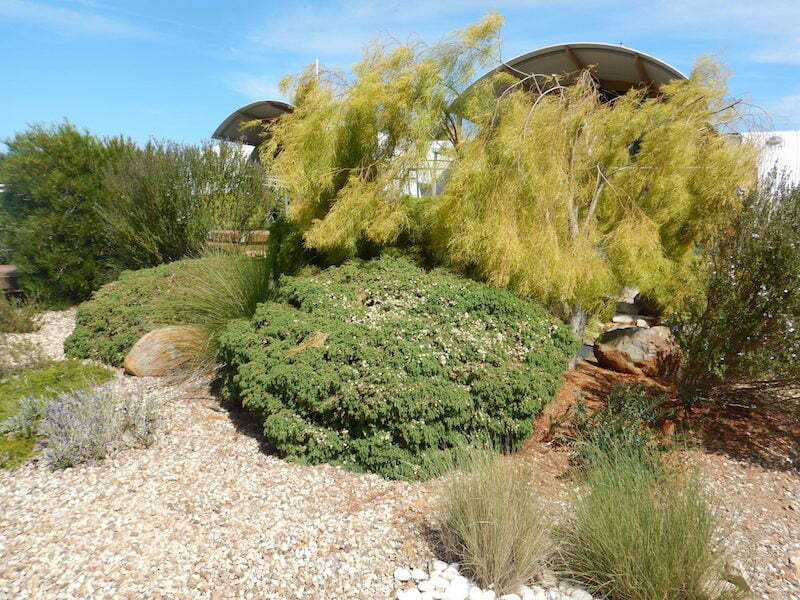 Hi Angus, what a great story of commitment to a garden in such a harsh environment. Congratulations to Greg and Glenda for their passion and persistence. Yes, the commitment is as impressive as the creativity in executing such an original design concept for buildings and garden together. fabulous stuff! It’s worth noting that the Stawell region in particular has been smashed by record warmth in October and a 30% rainfall deficit for the year. What does it foretell for coming decades? Mind boggeling but so very beautiful. It has been very hard for gardeners in Sydney with all the unseasonal rain we had lately. No W.A beauties for us! Gosh, what a wonderful garden (and great write up). It is so inspiring to see these big success stories. 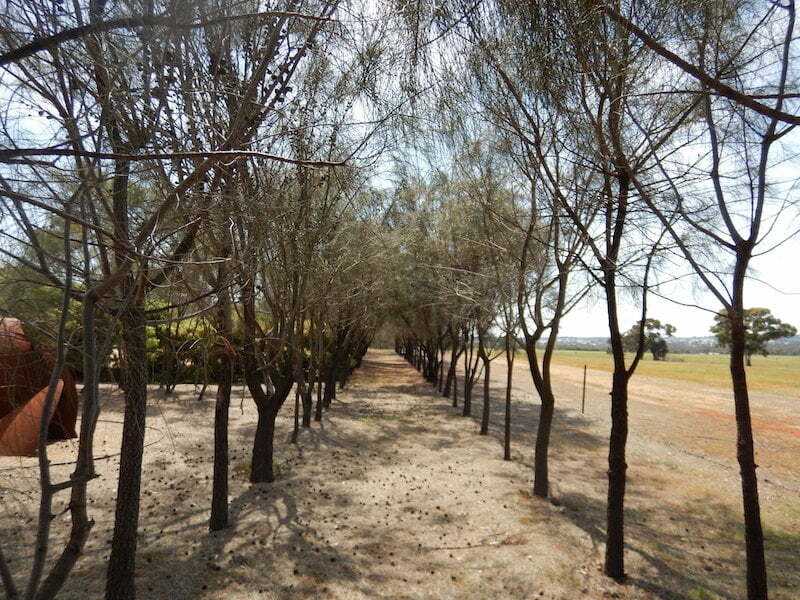 It was interesting to hear about the Acacia cognata cultivars surviving minus five temperatures. They are a little temperamental in Canberra with similar conditions. I had thought it must be due to the combination of cold and damp, due to Canberra’s clay soils, but then you mentioned clay here, too! Perhaps that gravel mulch is helping on multiple levels. I know this garden very well and it was a joy to see your wonderful photography and read your story Angus on Grannes. Its a joy to spend time in the garden and always feels like an exploration. I heard one of the recent Open Day visitors comment as they were leaving: hmmm, I think I need to think about stones…..! Obviously a reflection on the very creative way stones of various shapes and sizes are used for different artistic and functional purposes throughout. Anyway, thanks again. Fabulous article and photos Angus. The open garden on the 8th November saw the garden in perfect condition due to Andrew’s hard work and preparation. As an occasional visitor to Grannes I have been fascinated to see the development of this beautiful garden in a difficult environment. 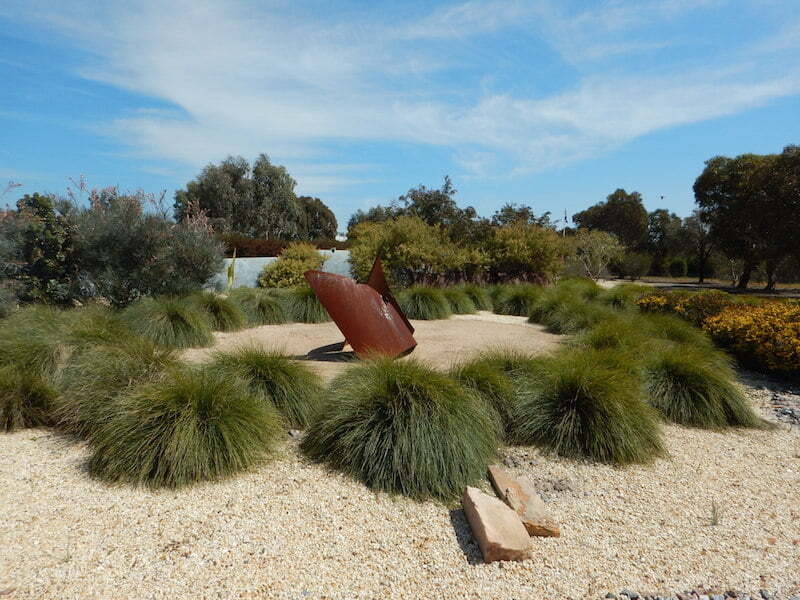 A hugely important aspect is the exclusive use of indigenous species making the garden an important source of inspiration and reference for Australian gardeners. I love the place which offers areas of reflection, relaxation and makes you smile at the unexpected.